To qualify for full membership a member must pay the Golf Club fee of €60 plus the Portuguese Federation fee of €60 and also have an Annual, 26 week, 20 week or 13 week Green Fee as stated in the current GSA Green Fee guide. Associate members shall not have the right of a vote at the general meeting. 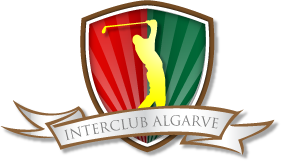 The Federated Associate Membership must pay the golf club €60 membership fee and €60 euros Portuguese Federation fee and is targeted at those who do not play golf often but who support the Golf Club events and wish to be part of our Golf Club. The FAM will receive the benefits outlined above for the AM plus they will have their handicap maintained by the Golf Club. They will be required to submit four cards from qualifying competitions played at PDF in one year. The Golf Club committee, reserve the right to review AM and FAM occasionally to ensure no abuse of the system is occurring and if there is to take appropriate action. All AM’s and FAM’s applications must be approved by the Golf Club Committee.